Choose Wisely. Rebel or Imperial Alliance? 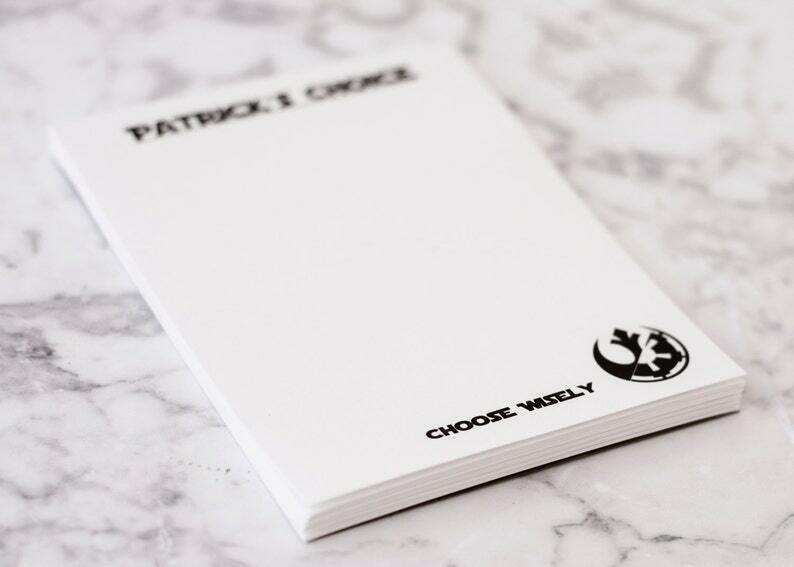 This personalized Star Wars Note pad customized with your first name, With Choose Wisely on the bottom, and A split alliance image. Made using 204lb bond paper with either 50 or 100 pages. Page Size 4.25" wide by 5.5" high or 5" x 7". Includes a coordinating card stock backing. 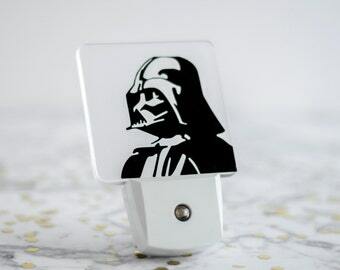 Makes a great gift for the star wars fan in your life, or for you own desk or work space. 4. Colour for "Choose Wisely"
Please include the desired customization in the notes to seller. If no customization details are given I will send you a generalized note pad.